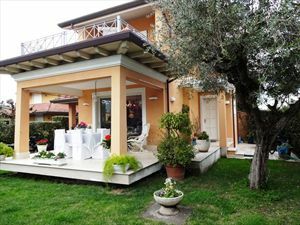 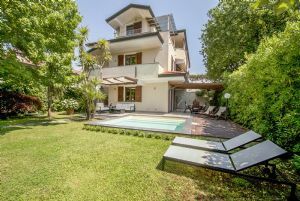 Beautiful newly built family house in the center of Forte dei Marmi, about 1000 meters from the sea, with private garden. 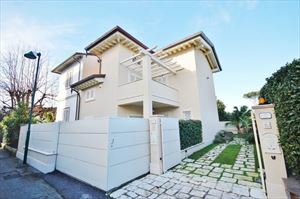 Equipped with air conditioning, alarm system, Internet, satellite TV, mosquito nets, electric gate, garden jacuzzi. 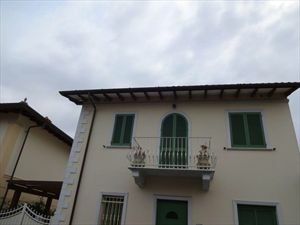 Ground floor: terrace with dining table, living room, kitchen, bathroom service. 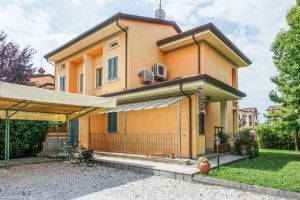 First floor: 3 bedrooms, including 1 master bedroom with dressing room and bathroom, 1 single room, 1 bedroom with French bed and bathroom with bath. 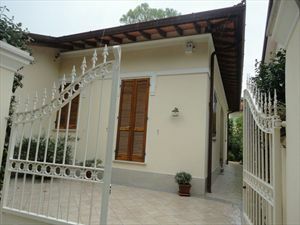 Taverna: lounge, kitchen, double bedroom, bathroom with shower, laundry.